إذا كنت تبحث عن فندق بموقع جيد في سيدني، فقد وجدت ضالتك في كويست بوندي جنكشن للشقق الفندقية . يمكن من هنا للضيوف الاستمتاع بسهولة الوصول إلى كل ما تقدمه هذه المدينة النابضة بالحياة. 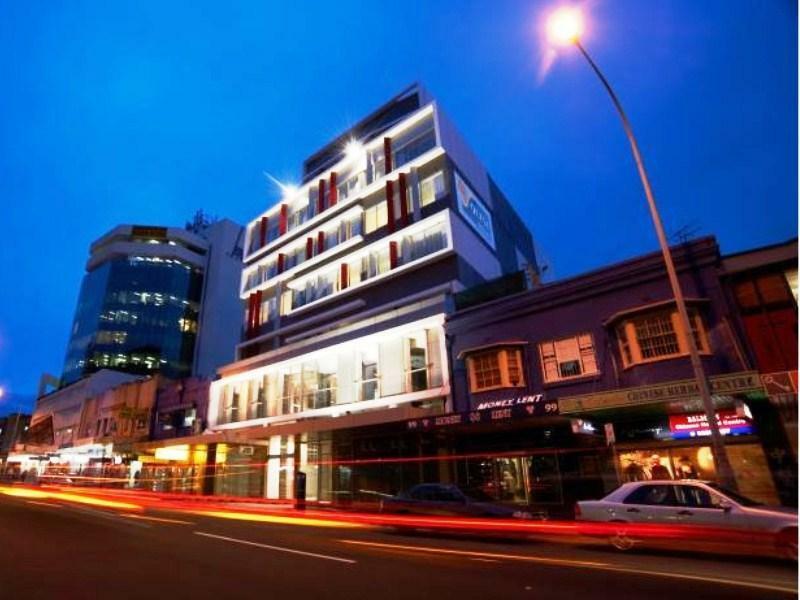 سوف يعشق النزلاء موقع هذا الفندق، فهو قريب من أهم المعالم السياحية في المدينة كمثل Bondi Medical Centre, Consulate General of Switzerland, Consulate of Netherlands . إن حسن الضيافة والخدمات الراقية التي تعرف بها Quest Serviced Apartments تغني تجربتك في كويست بوندي جنكشن للشقق الفندقية. يقدم الفندق واي فاي مجاني في جميع الغرف, مرافق مخصصة لذوي الاحتياجات الخاصة, تسجيل وصول/خروج سريع, تخزين الأمتعة, صف السيارات لضمان الراحة القصوى لضيوفه. ادخل إلى واحدة من الغرف 82 وتخلص من عناء نهار طويل بمساعدة مجموعة كبيرة من الخدمات كمثل تلفزيون بشاشة مسطحة, غرف لغير المدخنين, مكيف هواء, تدفئة, خدمة الإيقاظ الموجودة في بعض الغرف. سواء كنت من محبي الرياضة أو كنت تتطلع لتفريغ عناء نهار صعب، ستجد خدمات ذات مستوى عالي بانتظارك كمثل مركز للياقة البدنية, مسار جولف - ضمن 3 كم, تدليك, حديقة. مهما كانت أسبابك لزيارة سيدني، فإن كويست بوندي جنكشن للشقق الفندقية هو الخيار الأفضل لإقامة مثيرة وممتعة. قد تُطبَّق سياسات مختلفة على الحجوزات الجماعية لخمس غرف أو أكثر. لمزيد من المعلومات، يرجى الاتصال بالعقار مباشرةً. إستخدام مركز للياقة البدنية في العقار متاح لقاء رسم إضافي. The air con in our room didn't work at all so I requested a fan be sent up (and even with a fan it was still 30+ degrees in the room making sleep very difficult), one of our room keys did not work and when I asked for one to be bought back up to the room it wasn't, so I had to follow up the staff again, the shower leaks and the screen door does not work well to conceal the water getting all over the floor (which is a slip hazard), the lighting in the whole room was dark and even with the blinds fully open it was a very dark room, there were only 2 knives, 3 spoons, 2 plates etc in the room - it was not a fully stocked kitchen and I had to ask for kitchen items to be bought to the room. I am not impressed with this hotel - the location is great but the facilities, the actual hotel rooms and the staff need a lot of work. I've stayed here twice and will not be staying here again. 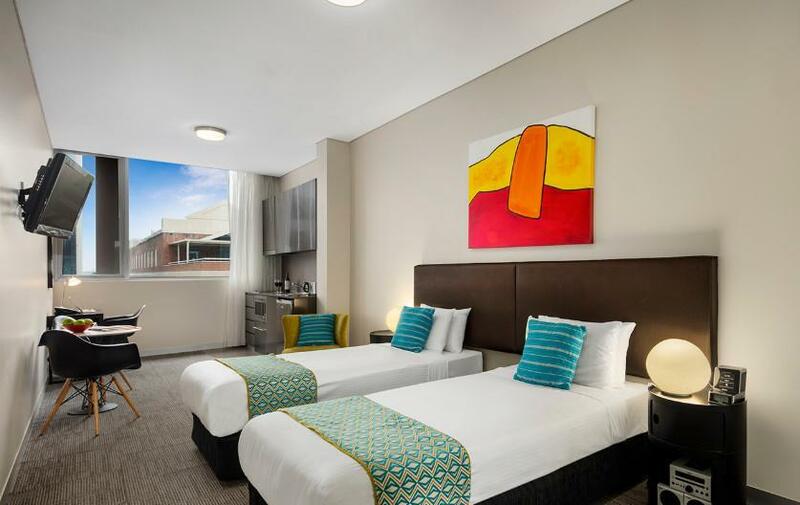 this hotel /service apartment is managed by Quest, which is a well-reputated hotel management group. satisfied with room size and staff services. free gym access to a contracted gym opposite to hotel by presenting a voucher. Nice place to stay with well-equipped kitchen. There are meter parking just in front of the apartment so we can park our car there. Only minor drawback is that the apartment wrongly charged us 2 days parking fee. Thanks Agoda to follow up with the apartment and get a refund. Overall a great experience for a second time. The location was very close to the mall, less than 5 min walk away. Many buses at the doorstep to Bondi beach 10 min away. Coles supermarket was across the street. The kitchen in the room was great to cook a nice breakfast. However, the fire alarm in other rooms went off twice during our 2 night stay. Please remember to turn on the ventilation hood when cooking. Would definitely stay here again. It was a nice flat. It had the amenities where we were able to dine in or eat out. The front desk people were very nice and accommodating. This is close enough to the beach - but it's advised to have a car. We noticed the dish washer wasn't clean and the bed was shocking 2 single mattress put together where other hotels we had a whole bed that bed was very uncomftable the one we had my partner couldn't sleep at all it was rock hard bed sorri. The room is good with a simple kitichen set including bowl, pan, knifes and so on. The core quilt is totally separate with the quilt cover so it’s very easy to become messy and uncomfortable. But overall it was good. Good location close to shopping mall and a few restaurants and cafes, and 15 minutes drive to city. Nice room with decent bathroom and good-pressured shower. Professional staff and were able to accommodate early check in. The only downside was noises from outside (something that sounded like pigeons). Great deal through Agoda, good value for money for this type of accommodation. 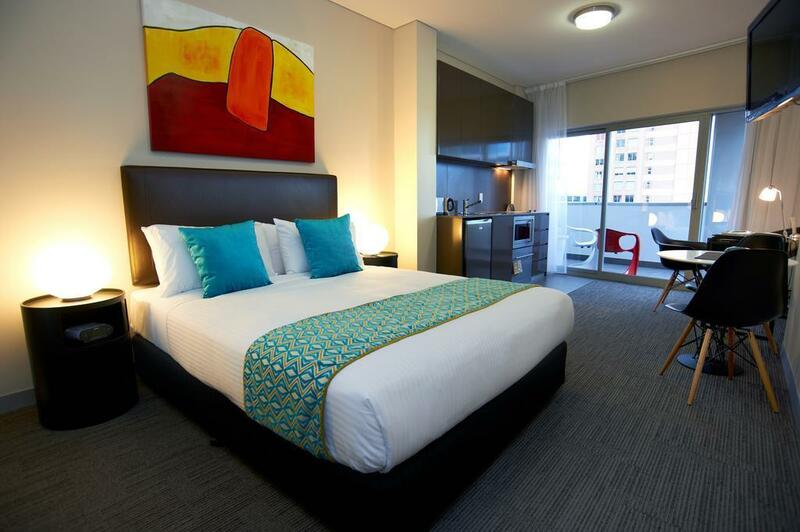 I loved staying at Quest Bondi Junction. 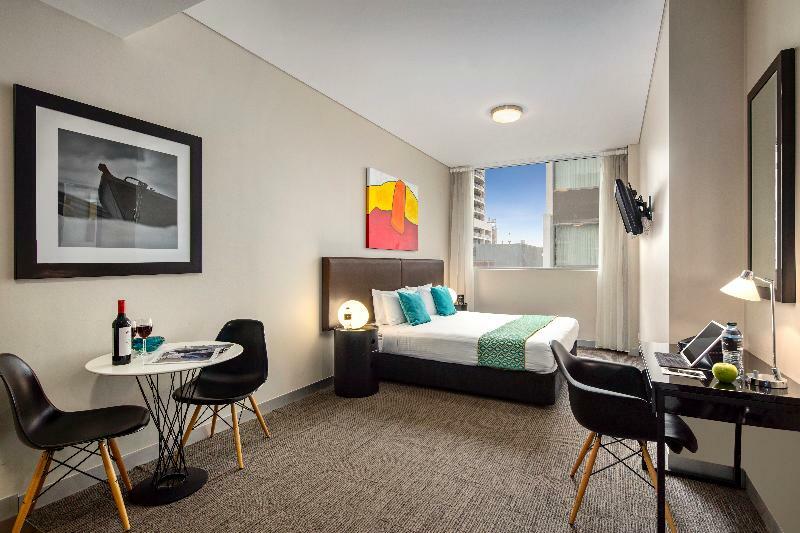 Great location very close to Bondi Junction train station and buses, Bondi Junction Westfield and 30 minute walk to Bondi Beach. Staff were very friendly and professional. Room was well cleaned with microwave, dishwasher and the bathroom was modern with a decent sized shower. Room was large, however there was no lounge to relax on. Required to pay an extra $25 a night for parking car in their carpark. We needed a portable bed for an extra child, but no housekeeping after 5pm. Pays to think ahead and ring ahead regarding your requirements. Very roomy apartment. Overall excellent cooking facilities. I was extremely pleased to find out that I can open a window as I hate aircons. The breakfast box is a quite smart idea. Very pleasant stay overall with no issues. 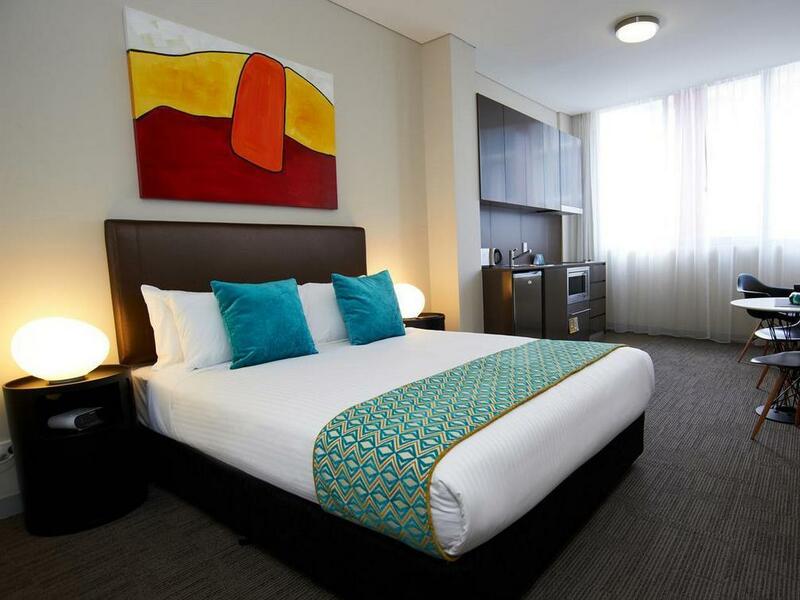 We had a great stay at the quest hotel Bondi Junction, plenty of dining around the area and very close to Fox studios. Taxis very easy to get just ask the staff and they arrange. Would recommend this hotel to friends and family.